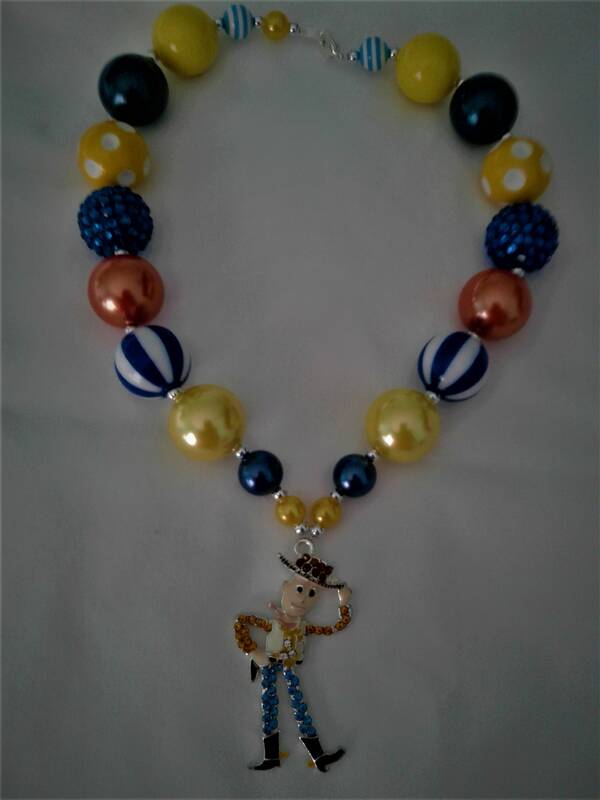 Perfect for the trips to the parks, this is a Disney Woody from Toy Story inspired necklace. 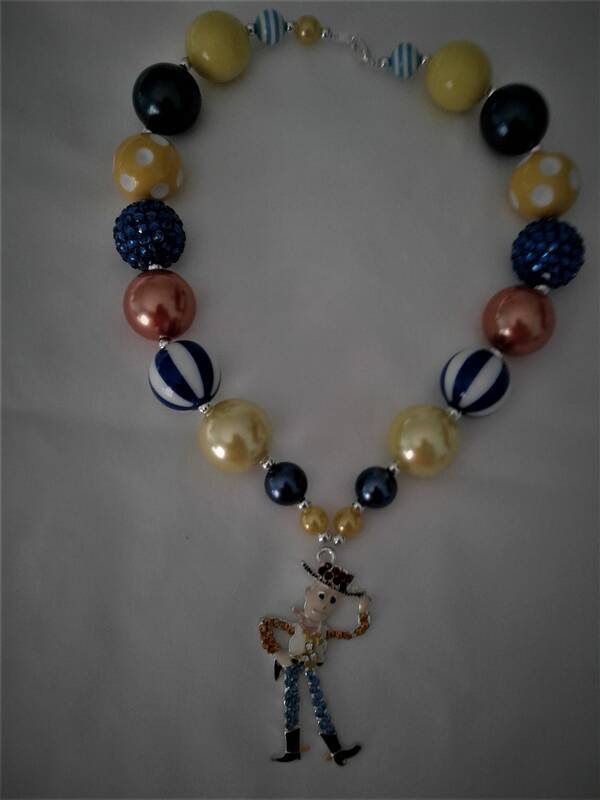 The necklace in a chunky bubblegum style. 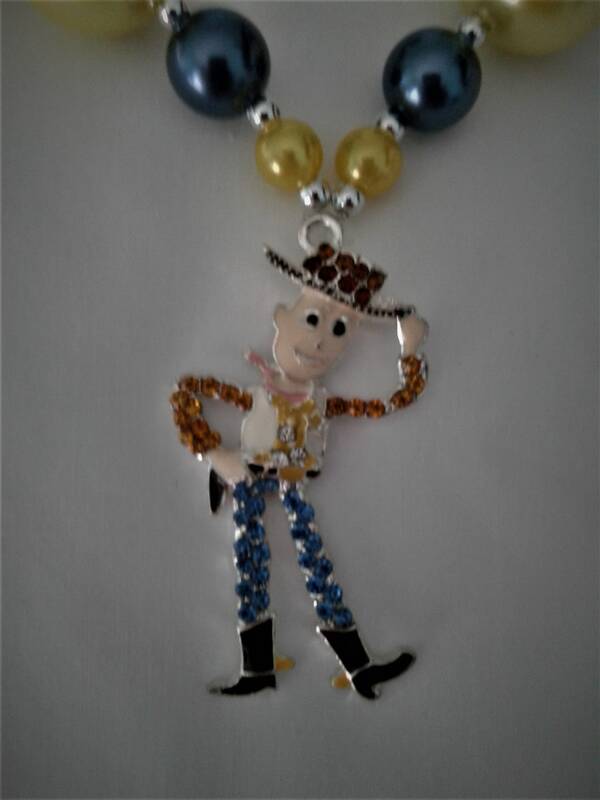 The girls love their bling.